One Vail jeweler puts a fresh spin on the term “snow day”. ➤ You’re in Vail, it’s a crisp winter morning, a foot of fine powder awaits on the slopes … who would want to go to work or even shop for that matter? It’s a reality the owners of the Squash Blossom fully appreciate with their 12-inch-powder rule, which surely sets a benchmark for employee-satisfaction practices: When the conditions on the slopes are sublime, workers are free to ski some runs in the morning before showing up for their shift. “You do eventually have to come to work, but you can be late it if snows 12 inches overnight,” says co-owner Patti Cogswell. ➤ The next time you take on a new hire, ask her to jot down every doubt she has about the way things are done at your store during her first month. For most things, the newbie will come to understand why your store does them in a certain way, says former Saks CEO Stephen Sadove. until last year. “But invariably, I find some really good ideas that make you say: ‘Why are we doing it this way?’ I’ve seen little things, big things, waste in the system and a lot of duplication come out of it,” he told the New York Times. 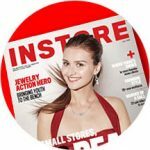 ➤ Yes, it’s a store, but your staff should act as if it were a personal shopping service, says Kelly Mitchell, owner of Kelly Mitchell Fine Jewelry in Highland Park, TX. “Busy people don’t have time to come walking through your doors to snag as new business,” she says. “Everyone should be sending out pictures to clients when they see pieces that fit or sending a piece to their office to preview in order to keep business rolling,” says Mitchell. It’s a way of doing business endorsed by Warren Buffett. “[Borsheim] does a huge amount of business in this low-key way,” he recently told shareholders. ➤ Amazon and Blue Nile have proved jewelry and the Internet make for a pretty good combination. But there’s still something of a gender gap that makes online shopping unsatisfying for many women. “Too many websites are owned by guys and managed by guys yet we want women to participate,” says retail guru Paco Underhill. “Retailers need to understand that not every shopper is looking to complete a transaction,” says Underhill, who will speak at the SMART Show on April 18. When women buy jewelry, it’s a moment of indulgence. Be sure your website reflects that, Underhill says. It’s simple: don’t drink and do social media. ➤ It seems obvious, but bears repeating: drinking and tweeting (or any social media posting) make for a combustible combination. “If you’ve had a few drinks, ask yourself if you would be tweeting the same thing if you were sober,” Dennis Wharton, VP of communications at the National Association of Broadcasters, told PR News recently. ➤Drowning in unread emails? Delete them all and start afresh. The key to this unorthodox move, according to tech blogger Fred Wilson, is to publicly declare email bankruptcy. That is, send a message to all your contacts letting them know you’re trashing all messages before say Jan. 1, 2015. If their message was really important, they’ll send it again. By which point, you’ll be way ahead of the productivity curve. This article originally appeared in the March 2015 edition of INSTORE.